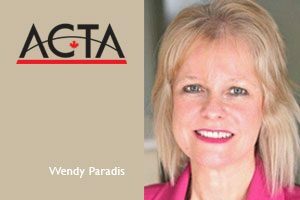 In this week’s edition of Canadian Travel Press, Voices of Travel podcast host Ron Pradinuk talks to ACTA president Wendy Paradis about the programs and policies that are making ACTA an even more relevant force in the industry than it ever has been. And as its president, Paradis is responsible for making sure the goals of the organization are being carried out. The Voices of Travel podcast series is committed to informing, educating and entertaining its listeners with stories of some of the remarkable people who shape the travel and tourism industry in Canada and around the world.